Wandering aimlessly through the makeup aisle is a joy for most beauty addicts: shelves upon shelves filled to the brim with moisturizers, toners, cleansers, and masks. And while beautiful products come from all over the world, we don’t need to stray far from home to experience some of the best formulas and ingredients. There are countless beauty brands flourishing in Vancouver, and they are most definitely worthy of attention. Here are some of note. 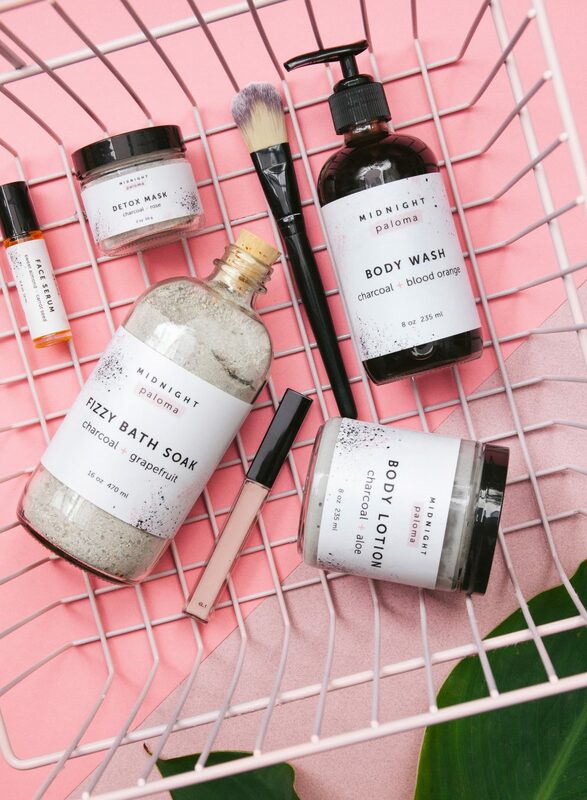 Midnight Paloma is dedicated to clean beauty, using all-natural components to create signature formulas that coexist with the Vancouver lifestyle—something founder Tayler Mariles, former co-owner of Yaletown’s now-closed cosmetics haven BeautyMark, knows a thing or two about. The brand is fiercely dedicated to its hero ingredients, including charcoal, which makes up the powerhouse base of its absorbent Charcoal and Rose Detox Mask. This debut product, packed with soothing rolled oats, softening rose petals, and exfoliating kaolin clay, can be tailored to one’s every need. Want to purify the skin? Mix the detoxifying formula with water. Looking to clear pores? Combine with raw honey. Want to tackle a breakout and even out skin’s tone? Blend with organic yogurt. Next, Midnight Paloma’s Sweet Almond and Carrot Seed Face Serum offers plenty of hydration post-mask. Enriched with anti-bacterial jojoba, moisturizing vitamin E, inflammation-reducing calendula, and gentle rosehip, the roller-ball serum offers an instant glow and at the same time tackles fine lines. And if not ready to jump on the gua sha or facial rolling bandwagon just yet, Midnight Paloma offers an easy-to-use Facial Dry Brush. This is a great way to awaken the face, stimulating lymphatic drainage and tightening the skin with each upwards brush movement. Whether it’s boosting circulation or promoting cell turnover, the benefits of this tiny handheld tool—and all of Midnight Paloma’s products, really—are endless. This brand was born out of love and loss—a desire to heal rather than to suffer. Brought closer after the passing of their husband and father respectively, mother-daughter duo Radmila Juristovski Bosnic and Ada Juristovski harnessed their pain to create a brand that tells a story of self-care. 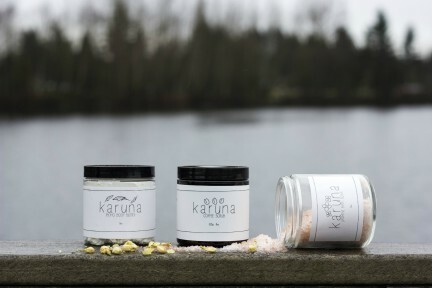 Their personal mission with Nala Care, a free-from deodorant line made in Vancouver, is to change the way society views health, love, and connection. Free of aluminum, carcinogens, toxins, and cruelty, the safe and nourishing unisex formulas make the transition from antiperspirants a breeze. With a line-up of carefully chosen ingredients including arrowroot powder, Nala’s healthy formation comes in three scents: Sandalwood and Bergamot, Lemon Myrtle and Geranium, and a detoxing Peppermint and Activated Charcoal. 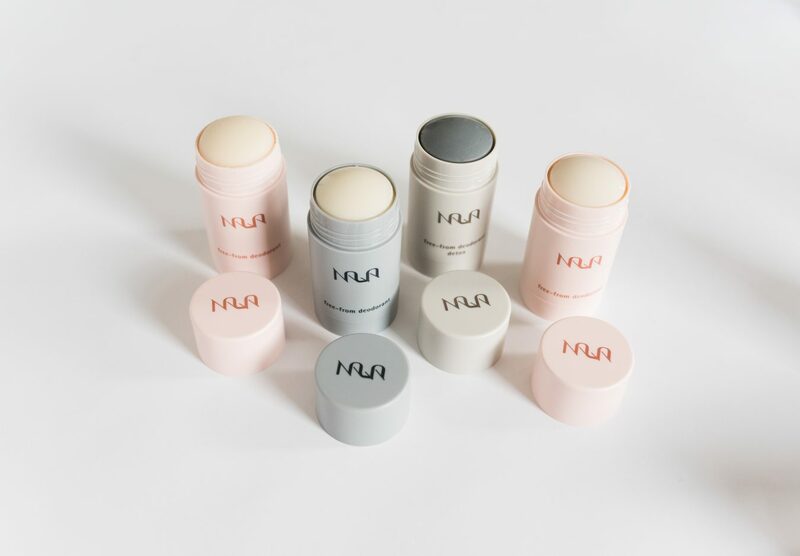 The branding is also thoughtful, as each tube box comes with a message: “I care for me, I care for you.” What we put on our bodies is important; Nala boasts the philosophy that skin care should be celebrated. Ceremonie is more than just a beauty brand, and founder Mimi Young approaches things differently. 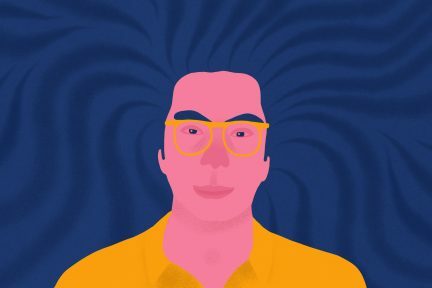 A shamanic medicine teacher and ritualist, Young believes our skin is a reflection of what we hold inside. She energetically blesses each hand-blended product in the Ceremonie collection; the vegan, toxin-free, and filler-free products reflect plant, animal, and mineral spirits, and are said to hold a sacred energy within them. There is the purifying Sacred Smudge Mist that interacts with one’s aura, activating sacred white sage, Canadian red cedar, and desert sage. With each spray, the soul is raised. 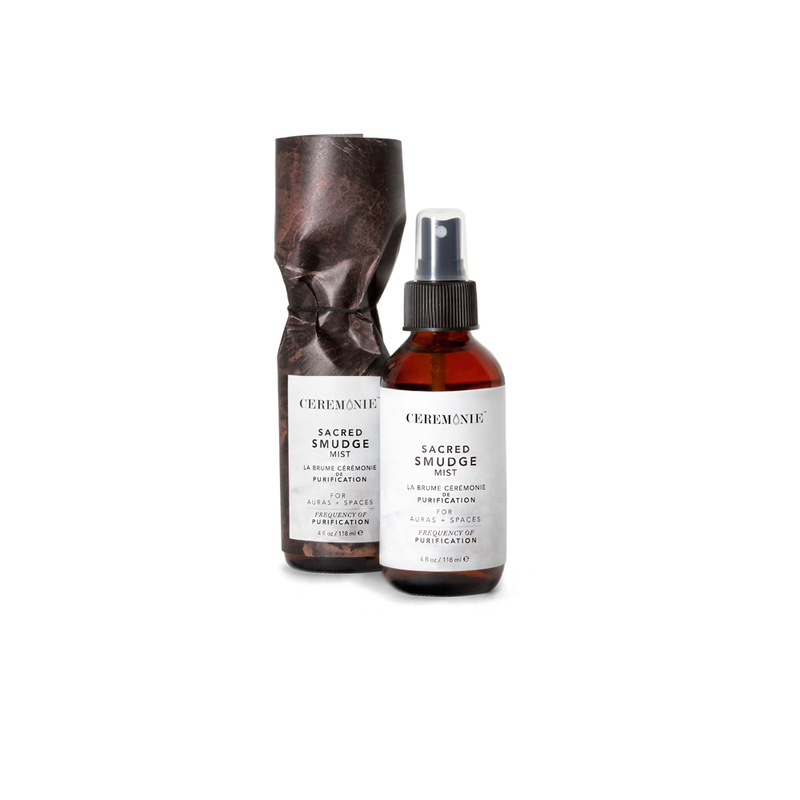 And this mist can be beautifully paired with the Ritual Facial Elixir, a very potent formula augmented with nutrient-rich ingredients like camellia flower and German chamomile. Put on before bed and wake up to a glowing face. The story of Pink House began in 2013, when sisters Tracy Olesen and Karen Sjoberg started looking for all-natural beauty products after Sjoberg was diagnosed with breast cancer. When the search proved to be difficult, the sisters decided to take matters into their own hands, creating a wide range of goods that friends and family could trust. When Sjoberg died, her daughters—Tegan Klenner and Lindsay Sjoberg, the women behind popular Vancouver lifestyle blog Treasures & Travels—jumped in to help their aunt continue their mother’s legacy. Made by hand in small batches, the Pink House line of clean products are crafted with honesty to ensure women are aware of the impact ingredients have on their bodies. Before bed, there is the Face Fix Serum, a scar-reducing night oil with ultra-hydrating properties thanks to components like meadowfoam and sea buckthorn. And for the mornings when hair shouldn’t be washed, the Pink House vegan dry shampoo gives immense amounts of volume, all while soaking up excess oils. But perhaps the greatest products are the on-the-go Glow Sticks: coconut oil-based highlighters that are quick and easy, and offer that sun-kissed shine. Whether using a shade called Champagne or Copper, Ice or Peach, the Glow Sticks add an instant radiance to cheeks, lips, and eyelids. An all-natural look? Yes, please. Bunhead was a bit of an accident. It all started one night when founder Courtney Peters had a few friends over for a glass of wine; before she knew it, her sewing machine was out and she was making scrunchies. But what she thought was a one-night-only venture turned into something bigger. Thanks to nostalgia for the 1990s, the once-forgotten hair accessory was making a comeback—so she enlisted her mother, Shelby, to help launch a scrunchie business, which she has appropriately called Bunhead. 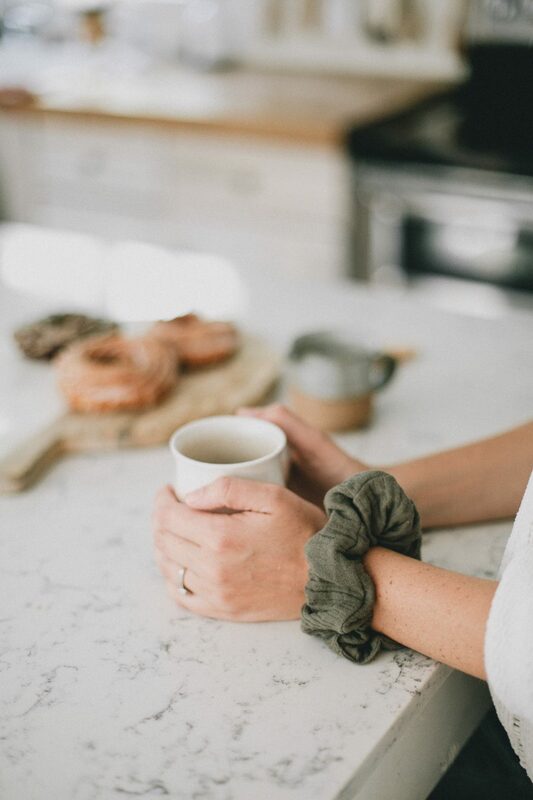 With all material sourced locally and tested for durability, the handmade scrunchies hold hair from dawn to dusk, whether it be in a bun, ponytail, or braid. From simple blacks and greys to waffled whites, spruced velvets, and Champagne satins, Bunhead has pieces for every outfit and mood. There’s even a popular thin series for those with fine or short hair, and a mommy-and-me collection for mother-daughter duos—the very heart this brand was built on. Say goodbye to those chunky drugstore shavers and hello to this simple and sophisticated razor. Well Kept founders Natalie Farrell and Emilie Johnson are truly elevating the hair-removal experience. 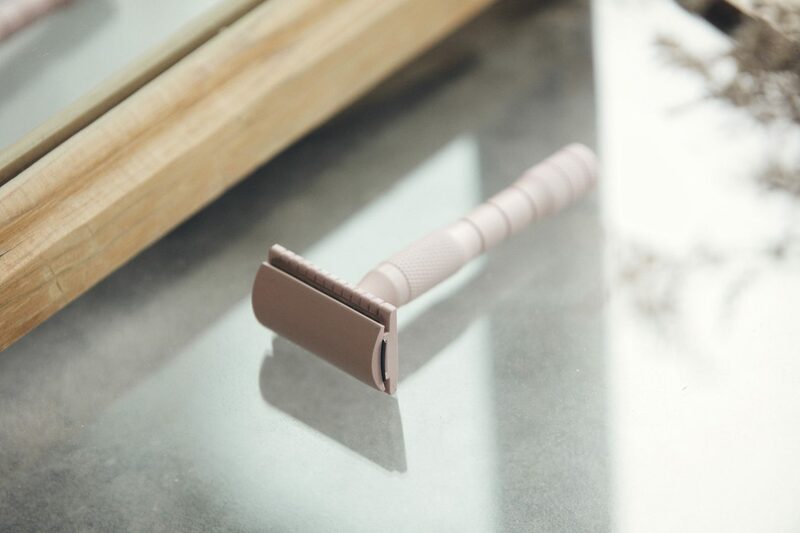 Coming in a minimal dusty rose, the brand’s solid brass razor is gentle on the skin thanks to a single blade; legs are left feeling sooth and cared for rather than irritated. This product is also great on the environment, as it is meant to be reused; when the blade dulls, simply replace it with a new one, instead of having to throw out the whole apparatus. And for an extra dose of luxury, Well Kept offers a beautiful wooden kit equipped with an agave exfoliating cloth, shave oil, and a pack of five blades. This is one razor that deserves to be shown off. Taking a minimalist approach to beauty, aesthetician Kathryn Sawers of Yaletown’s Collective Skin Care founded Eventide for all those skin worshippers who like to keep things simple. With only two products currently sold, Eventide focuses on what really matters for the skin. 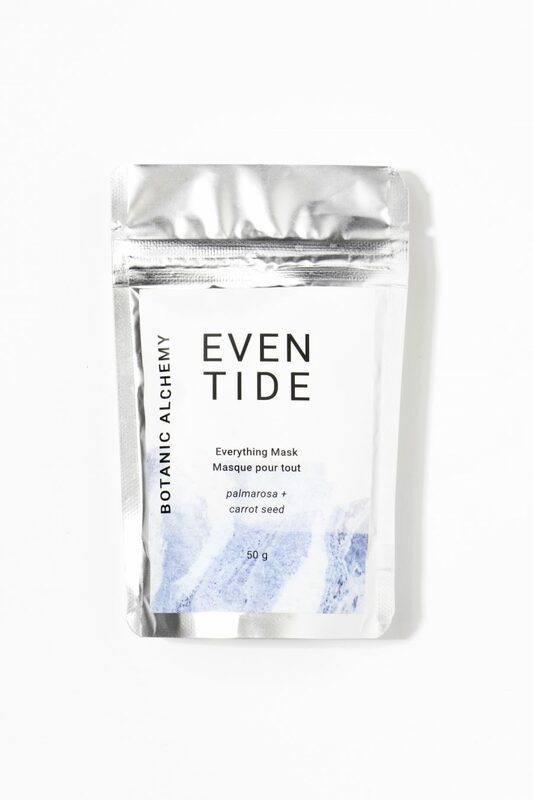 Like Midnight Paloma’s version, the Eventide white clay Everything Mask gives a chance to pick one’s poison: looking to detox the skin? Hydrate it? Brighten it? 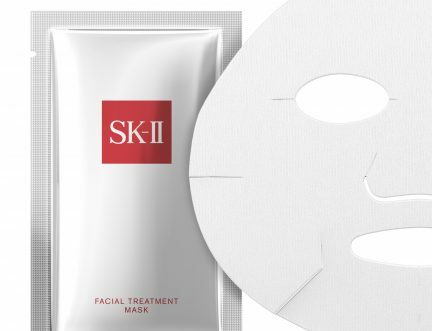 Whatever the face craves, users can cater this mask, which is infused with tea tree and juniper berry, to individual needs. To cleanse, take one heaping teaspoon and mix it with purified water; for resurfacing benefits, combine with plain yogurt; and for pore refinement and an extra hit of antioxidant, join with raw honey. With plant-based ingredients infused in both the mask and the Restorative Face Oil, Eventide makes the nightly skin care routine simple and clean. Fragrance studio Brand & Iron creates timeless scents and classic styles to soothe and inspire the home—and while not beauty products, these candles add special ambience when going about one’s self-care regimen. Created by Jordan Derhouson using soy wax sourced from American-grown beans, the comforting candles use the finest, most natural ingredients possible, without any additives or other harmful elements. For winter nights, there’s the uplifting Sweet Balsam Candle, with soothing notes of balsam and evergreen intertwined with syrupy highlights of vanilla. And when the sun finally shines, fill the room with calming Australian Sandalwood and Lavender, a cleansing aroma with a woodsy base and a glowing lavender finish. Housed in white, black, and gold vessels, these candles are perfect for raining nights and bright days. Vancouver’s beauty isn’t just embedded in its landscape—it’s found within its people.